I have not been posting a lot lately but that is about to end. My husband and I were making some life decisions and it’s official we will be moving to DC in the next 2 weeks. There will be lots of fun pictures in the city soon…can’t wait! 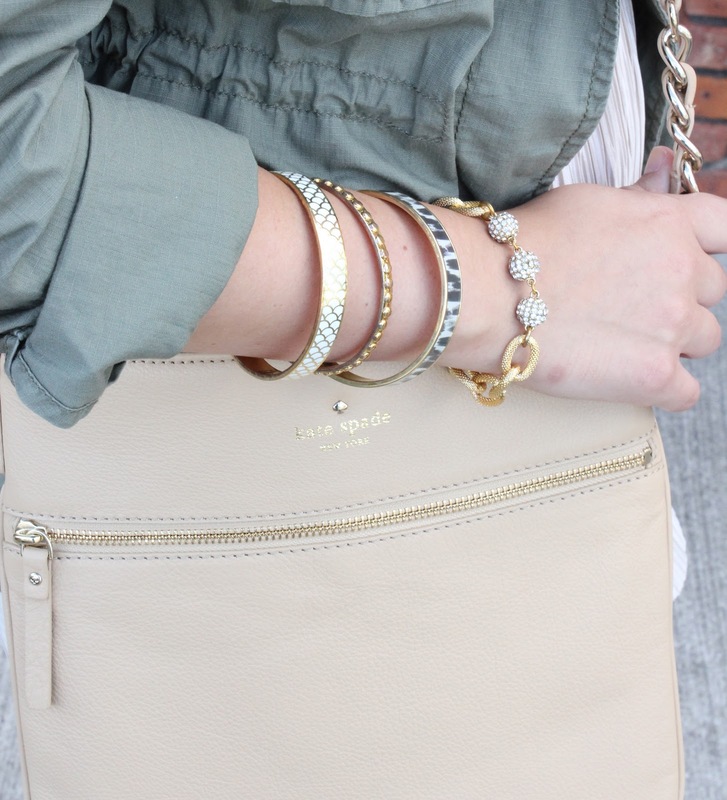 Love your bag and the neutrals against the army green! Kelli…yes it's fun to mix up casual and dressy. thanks for your sweet comment! You styled this jacket so perfectly! I love all of your accessories! thanks….can't live without a thick heel!